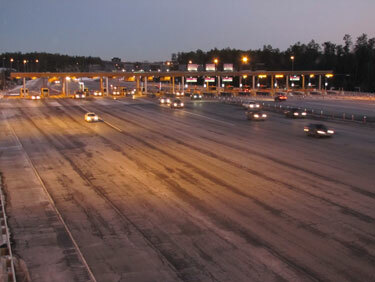 Dulles Greenway users won\’t have to pay more to take the privately tollroad until April. With drivers paying almost $10 for a round-trip to use the Dulles Greenway, 2014 could be a key year in deciding whether commuters will have to pay more or less in the future. Gov. Bob McDonnell says Virginia should review its contract with the owners of a private toll road in Loudoun County to determine whether anything can be done to clamp down on the rising tolls. For the first time, a state commission that oversees utility companies will hear a challenge to a proposed toll hike along the Dulles Greenway. The Virginia State Corporation Commission granted Loudoun County\’s request to join an effort to drive down rates on the Dulles Greenway. A lawsuit against toll increases in Virginia could nullify agreements with private toll operators and leave state taxpayers holding the tab for past, present and planned infrastructure projects. The Virginia State Police is investigating a crash that occurred on the Dulles Greenway at 3:20 p.m. Friday which left one person dead and two injured. Trooper D.P. King was called to the scene of the two-vehicle crash in the eastbound lanes of Route 267 in Loudoun County. A Loudoun County study examines how gridlock can be lessen in the area south and west of Dulles International Airport. The Dulles Greenway, the 14-mile-long highway that runs from Dulles Airport to Leesburg is one of the region\’s underused highways and the latest toll hike may be the last straw for some local residents.